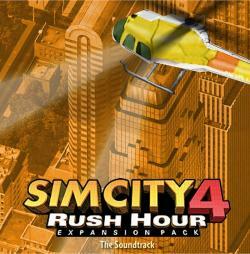 Was released for free on SimCity's website, as 128 kbps MP3s. One of the most underappreciated elements of video game production is the music soundtrack that accompanies game-play. Even casual gamers have probably encountered a videogame or two where the soundtrack was lackluster and repetitive, and completely killed the whole experience. Maxis is well aware of just how crucial a great soundtrack can be, and that is why, when resident musical genius Jerry Martin sat down to compose and record the music found in Rush Hour, he was provided with a seventy-piece orchestra to fill out the sound on nearly half of the eleven new songs found within Rush Hour. Jerry and composer Andy Brick were flown out to the unusually vowel-rich Eastern European city of Olomouc in the Czech Republic and given a mandate to provide nearly a half-hour of lush, atmospheric music for the game. The end result was three new songs from Jerry and two from Andy. These accompany the six other songs composed by Jerry, as well as The Humble Brothers, Walt Szalva, and Edwin Dolinski. The results were, of course, typically beautiful, and continue to uphold the high standards that Maxis sets for itself with every new release. We've made all the music found in Rush Hour available as downloadable mp3’s, so if you don’t have Rush Hour, you can get a taste of the aural experience in store for you, and if you do have Rush Hour, you can listen to the music outside the game, and print up your own professional looking cd.